Over the last few days, Tajikistan again found itself under the mass media limelight and in the centre of the international communication’s attention. The reason is yet another armed mutiny in the country and the ensuing operation by the power-wielding bodies to capture the suspected militants scattered in mountains. According to information the country’s interior ministry provided, two armed assaults occurred in the night of September 4—with one targeting the central administration of the country’s defence ministry in Dushanbe and the Vakhdat City internal affairs directorate 20km outside the capital. Several police officers were killed in the assaults and a large arsenal of weapons and ammunition. The interior ministry announced the same day these assaults were allegedly organised and carried out under the supervision of Deputy Defence Minister Maj-Gen Abduhalim Nazarzoda (also known as Hoji Halim), a member of the Islamic Revival party of Tajikistan (IRPT) and former supporter of the United Tajik Opposition (UTO), who was reintegrated into the Armed Forces structure based on the peace agreement signed in 1997. Maj-Gen Nazarzoda was relieved from duty only several hours for “committed crimes”. The former deputy minister and some of his accomplices were able to hide in the Romit Gorge 50km east of Dushanbe after the assaults. The country’s power wielding bodies are currently holding an operation into neutralising the group in the mountain gorge. According to the interior ministry, military units surrounded the fugitive general and several of his supporters and capturing him is “only a matter of time”. According to latest data, at least nine interior ministry officers have been killed and six more sustained wounds at the hands of the mutineers. That said, the latter’s casualties are 17 killed and 39 arrested as well as over 500 weapons and ammunitions seized. Some of the Nazarzoda supporters have voluntarily laid weapons down, including Mirzokhayot Nazarov, the former deputy minister’s younger brother, who broke off the group and surrendered. On September 6, the interior ministry took to local mass media to report two more defence ministry officers—Lt-Col Mustafo Nazarov and Major Nasim Yusufov—were arrested for alleged “facilitation and involvement” in the September 4 armed assaults. According to the interior ministry, these people were aware of the planned assaults but failed to inform the authorities. Further, two more retired officers along with a former defence ministry employee are also charged with assisting the Nazarzoda group; the authorities maintain the latter hosted mutiny participants’ meetings and provided money. President Emomali Rakhmon, who visited the town of Vakhdat after the described assaults, hosted several working meetings with local companies as well as laid the founding stone of a new building of a local interior affairs directorate instead of the one damaged during the described assaults. 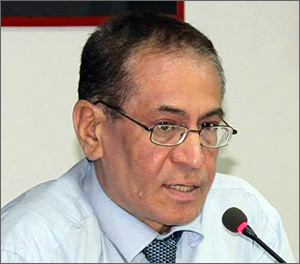 President Rakhmon attempted to convince the local residents that an operation to arrest the mutineers at large will soon complete and they will “all be held before law”. The head of state expressed condolences to the families of the slain policemen and thanked Vakhdat residents for support and assistance in arresting several criminals. By paying visit to the epicentre of the latest violent events, President Rakhmon seems to be sending a message that the situation is under the authorities’ control. According to some Dushanbe residents, the last weekend was quiet in Dushanbe and nothing, save the beefed up security measures, indicates an operation is underway only tens of kilometres away to capture fugitive militants. The authorities formed a special investigations group composed of officers of the National Security State Committee [NSSC], the interior ministry and the Prosecutor General’s office, which has been declining to comment on the goals and motives of the September 4 attacks at this time. The defence ministry is, too, sharing no information even though the criminal conspiracy in question was conceived in its main building in Dushanbe, as the interior ministry maintains. It is very difficult to explain why would the general launch an armed mutiny. After all, he was a successful high-ranking official, who was rather well off thanks to a big business he owned and harboured no political ambitions; the incumbent authorities knew him as a loyal official. Meanwhile, the IRPT responded to the interior ministry’s allegations that Maj-Gen Nazarzoda and some of the criminal society’s members were party members. 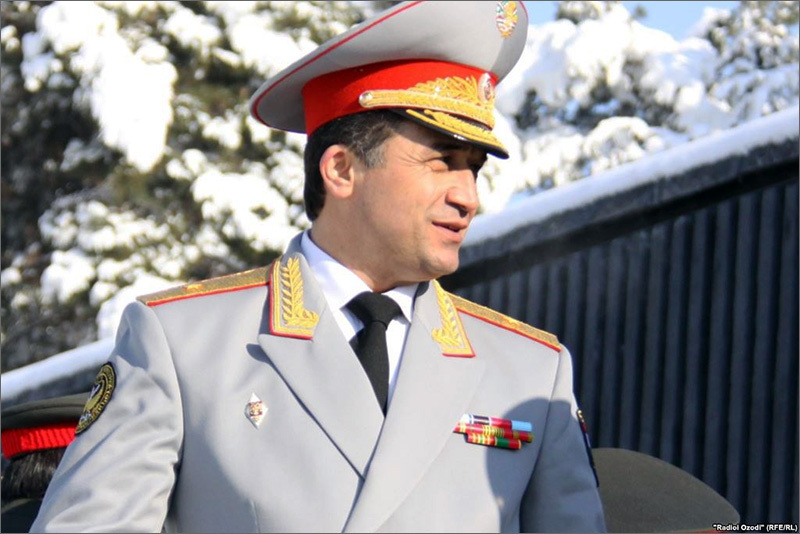 “The Tajik legislation bars officers of power-wielding bodies from being members of political parties. Do they really not know this in the state bodies?” a statement the IRPT politburo released September 5 reads in part. The party leadership says the events in question are “internal problems of the power-wielding bodies” of Tajikistan and calls state bodies not to use them to achieve their political goals. The Secretariat of the Collective Security Treaty Organisation (CSTO) commented on the deteriorating situation in Tajikistan on September 5. According to the Russia-led power bloc, said events are “gang violence” and internal issues of Tajikistan. On the same day, according to Kremlin.ru, President Rakhmon and President Vladimir Putin held a telephone conversation, where the Russian president is reported to have “seen the assault on law-enforcement officers as an attempt to destabilise the country and assured the country’s leadership of Russia’s support.” The heads of two states in question agreed to hold a separate meeting during an upcoming CSTO summit in Dushanbe on September 15. President of the Parliamentary Assembly of the OSCE Ilkka Kanerva condemned the armed assaults in Dushanbe and Vakhdat, characterising them as “terrorist acts apparently aimed at police officers”. In the evening of September 6, a message allegedly from Abduhalim Nazarzoda—transmitted via a phone—was circulated in online social media by his supporters. The veracity of the message has not been confirmed as of this writing. Nonetheless, the message provides one view on the events unfolding in Tajikistan these days. The author of the message claims the assault on the Vakhdat internal affairs directorate was carried out by the Tajik secret services as part of a plan to arrest all of the remaining commanders of the UTO. “Nazarzoda” says in the phone conversation that he learnt about this on September 3. The authorities were, the message also alleges, plotting to stage assaults on a number of police stations and then accuse those military officer who have been appointed to their posts as representatives of the opposition. Having learnt about the plot, Nazarzoda and several other former field commanders decided to die with weapons in hands instead of a “humiliating arrest” and torture. They, therefore, had no other choice but to capture weapons and attempt fleeing the capital, the message concludes. One could presume the Tajik authorities will soon announce there was a coup d’état attempt with destabilisation on the eve of the Independence Day to be celebrated on September 9. While this version of events is an obvious one, it is not the only one. Several Tajik and Russian experts shared their opinions with Fergana on the events currently unfolding in Tajikistan. It is difficult to make specific statements at this time, because very limited information is made available. Nazarzoda was a loyal military official, and had no significant influence or connections. The IRPT cohort treated him as a renegade, while the government did not trust him completely anyway—after all, he is a former member of the UTO. I doubt there are people behind him [influencers], and he is not of the kind that would be able to organise a coup. These events were clearly not an attempt at coup; rather, they were only a provocation. Most probably the general found himself involved in actions initiated by other parties. But it is not clear as to who would benefit from this provocation. In any case, Nazarzoda’s [presumably aforementioned] message will be used as one of excuses for closing IRPT in nearest future. Most probably, those militants who turned themselves in will confess to having ties with the Islamic Party. Therefore, one can say with 99% assuredness that IRPT’s fate is now certain—it will be closed. On the other hand, the consequences of this step could turned out to be very negative: part of the members will go underground, while its strategy, goals and tactics will change at the core. The replacement of its current leaders by more radical ones is also possible. One can confidently state that part of the younger members of IRPT will join the IS’s and other jihadi groups’ ranks. It would be naïve to assume that closing IRPT will also do away with the Islamist-minded opposition. However, this time around this would be a different Islamic opposition, which would choose the path of armed resistance to powers that be and coming to an agreement and terms with them would be almost impossible. The methods of struggle these people will employ will cardinally change: just like in other countries, jihadists will accentuate attention on the use of terror tactics, suicide bombers, etc. The Islamists in Tajikistan will then gradually become international. While IRPT was a purely national party in Tajikistan and declared strengthening the Tajik nationhood and statehood, the new Islamists will fight for establishing a unified caliphate. The unfolding events do remind of gang violence, because staging a coup d’état with such limited force, and scattered and uncoordinated actions is impossible. Tajikistan experienced many situations of this kind. Of course, one must not put aside [the idea] that there could be someone behind General Nazarzoda, and all these events are carried out as an attempt to shake the ground under the ruling elite’s feet. This would explain Vladimir Putin’s response: providing assistance to an ally, whom he wishes to see [as a member] of the Eurasian Union. But, at this time, there a very limited amount of information available to be able to make specific conclusions. Given the fact the Tajik authorities are still yet to officially announce the true motives behind the events, they [the events] targeted the president personally. Perhaps, this is linked to redistribution of wealth or influence spheres on certain types of businesses. But one must not expect serious outcomes after the events. 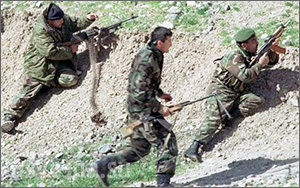 The armed forces of Tajikistan well experienced in eliminating such demarches. The authorities have got rid of a number of general, like Nazarzoda, over the years since independence [in early 1990s]. They were mostly after their personal ambitions and attempted to manipulate the authorities. These events could have been linked to the CSTO summit only if foreign actors were involved. Given the serious interest the USA shows in the region, Russia wants to maintain the stability of its own borders, and Tajikistan is the main outpost between Russia and the volatile Afghanistan. However, this version does not hold water in this case.